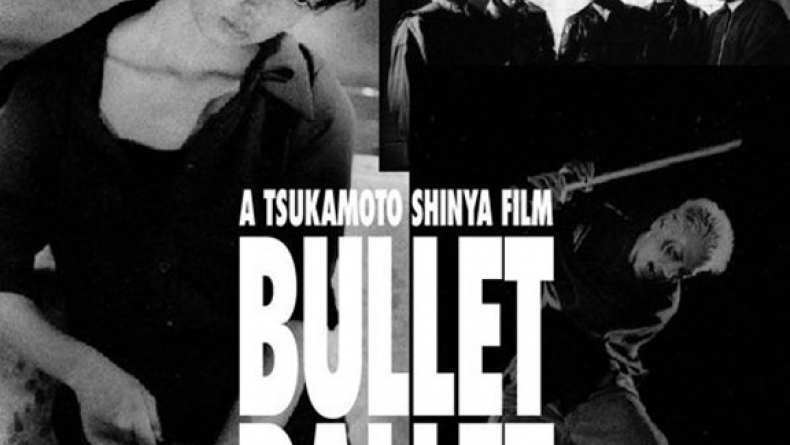 Goda (Shinya Tsukamoto) is a thirty-something documentary filmmaker. While his work may seem intriguing to some his life is absolutely average - long hours at the office, drinks after work, an equally busy girlfriend, Kiriko, that he's been with for a decade. No surprises. No detours. No shocks. That is until he returns home one night to find police cars and ambulances surrounding the entrance to his apartment building. When he gets upstairs he's told that Kiriko has committed suicide. If this wasn't devastating enough Goda also learns that she killed herself with a bullet to the head. With Japan having some of the strictest set of gun control laws on the books not only is Goda left with the yawning, black "why" behind Kiriko's suicide, but also a whole other set of mysterious "hows", "wheres" and "whos". How did Kiriko get a handgun in the first place? From where? And most importantly from who? Goda goes on a quest into the gritty criminal underworld of Tokyo in order to answer these questions, and maybe inhabit the last days of Kiriko's life.